Two Leamington-based commercial property consultants have announced they have merged to create “an even stronger and more dynamic” firm with a growing management portfolio valued in excess of £100 million. 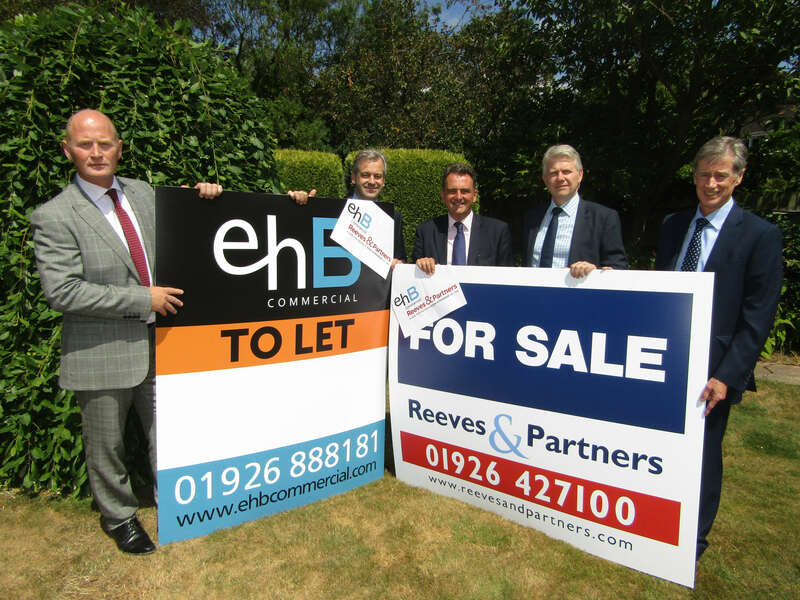 ehB Commercial has joined forces with Reeves and Partners to create a partnership which will trade as ehB Reeves. Initially, the two businesses will continue to operate independently, with ehB trading from its current premises in Clarendon Place and Reeves remaining at its base in Euston Place, Leamington Spa. The longer-term plan is to relocate both businesses to one location in the centre of Leamington, bringing all of its services under one roof. Simon Hain, director of ehB Commercial, said: “This is a natural coming-together of two successful businesses which will expand both our agency and management presence to cover the wider Warwickshire and Midlands region. “We will be able to offer a strong service which people will be able to look to with confidence. It will be a comprehensive offer and enable us to diversify the business even further. Richard Pomfret, managing director of Reeves and Partners, said: “This is a significant move for us and we are delighted to be teaming up with ehB, a company which, like ourselves, has worked hard to establish the reputation it enjoys in South Warwickshire. Mr Hain said the property management market is buoyant in the Midlands, making it a perfect time to expand in this arena. “We’re both going in with the view that we will look to expand and bring in new staff in the future,” he added.